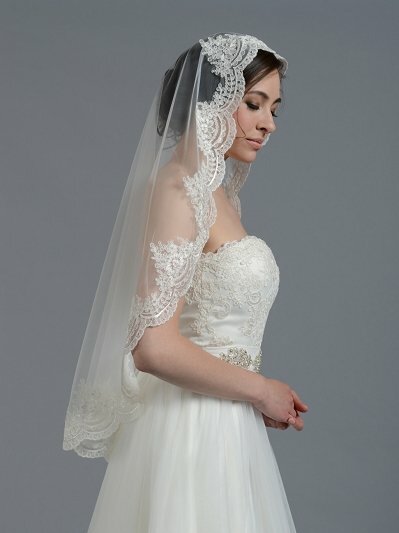 This is a beautiful lace mantilla wedding veil. 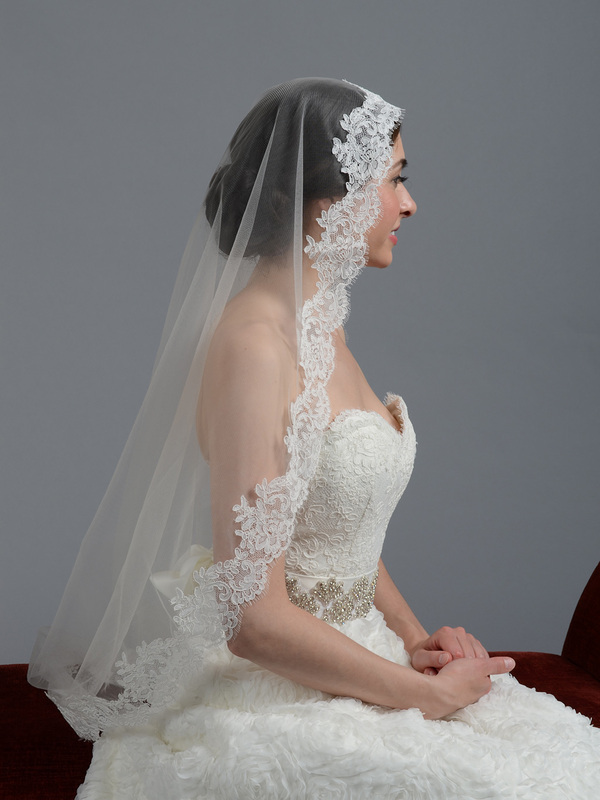 It features a 3.5" beautifully embroidered Alencon lace edge, with delicate eye lashes. The color of the veil is ivory. 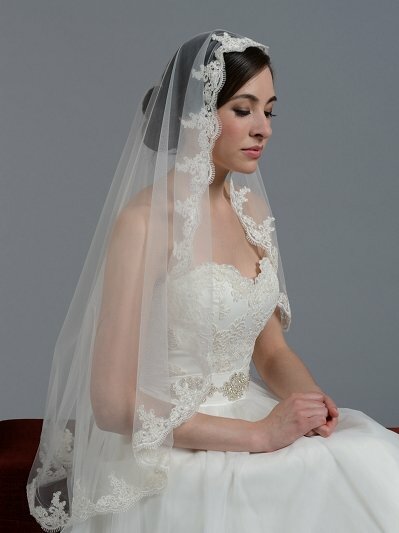 This veil is made of soft bridal illusion material that allows the veil to drape beautifully. 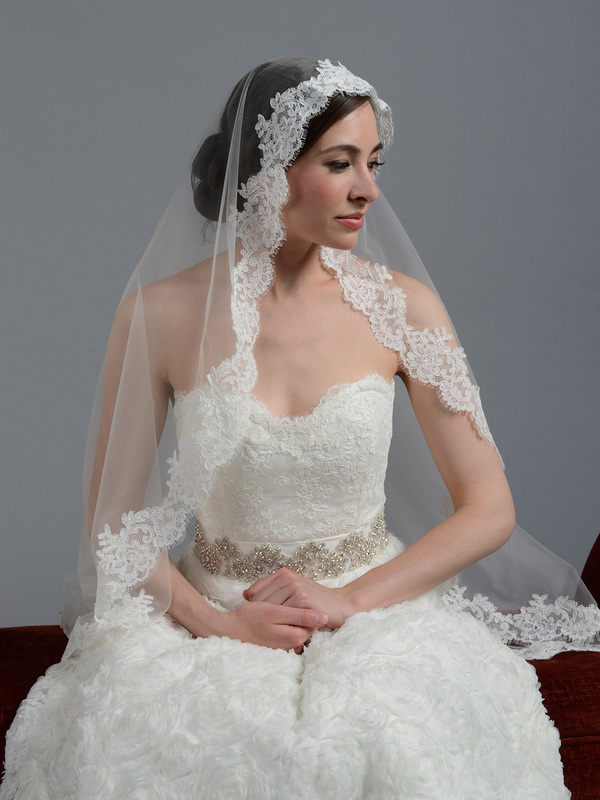 A metal comb is attached to the veil for easy positioning. 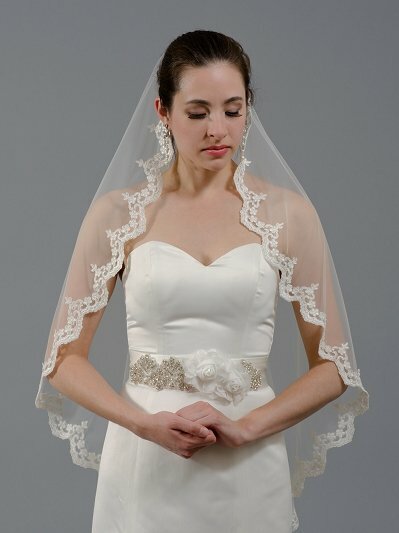 This veil is great for a wedding mantilla look, sure to make any bride feel beautiful on her special day. 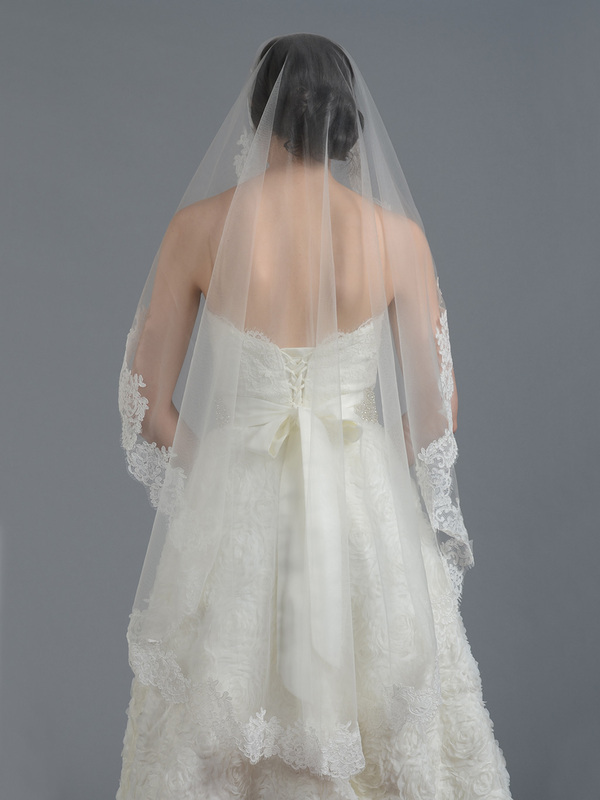 The pictures show a fingertip length veil. 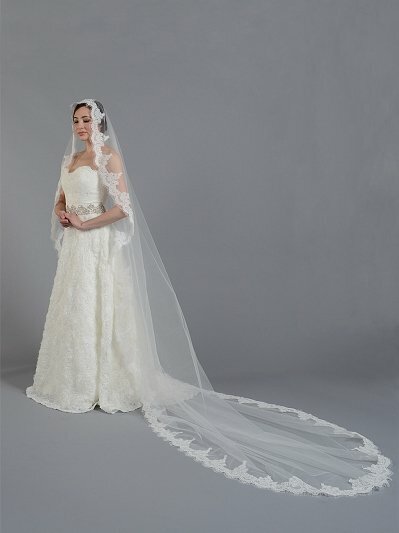 Fingertip length veil size is 50"x50".